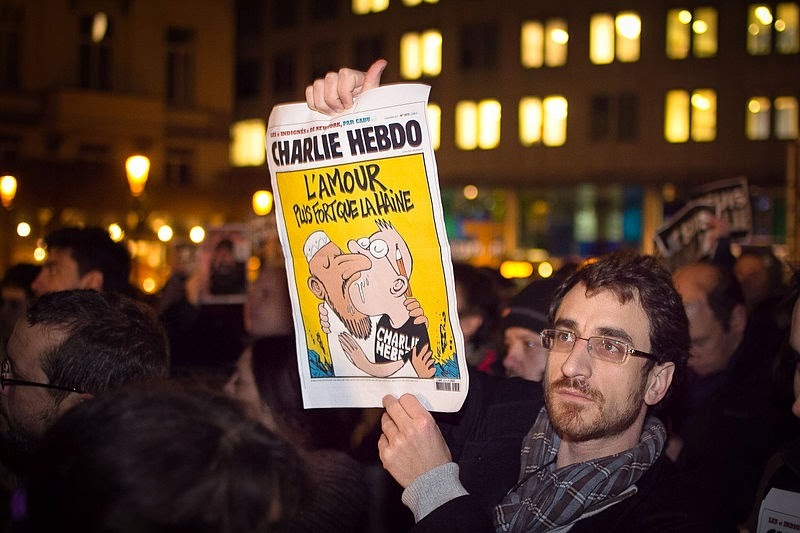 Paris/Brussels/Brisbane: Thousands of people have flooded Paris’ Place de la Republique in a vigil to pay tribute to the victims of the attack on satirical magazine Charlie Hebdo. Whether it was Brisbane or Berlin or Washington crowds armed with candles and posters though stood mainly in silence protested the massacre. Many of those attending the vigil said they had been shaken by the events. Thousands also gathered in Nantes at the Place Royale.More than 100,000 people in total gathered within France to partake in these demonstrations the evening of 7 January. 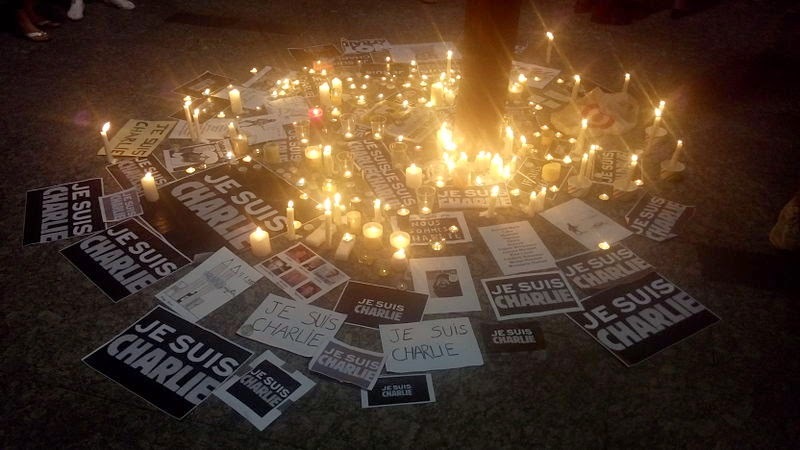 Supporters of free speech used the slogan "Je suis Charlie" (French for "I am Charlie") against the shooting. 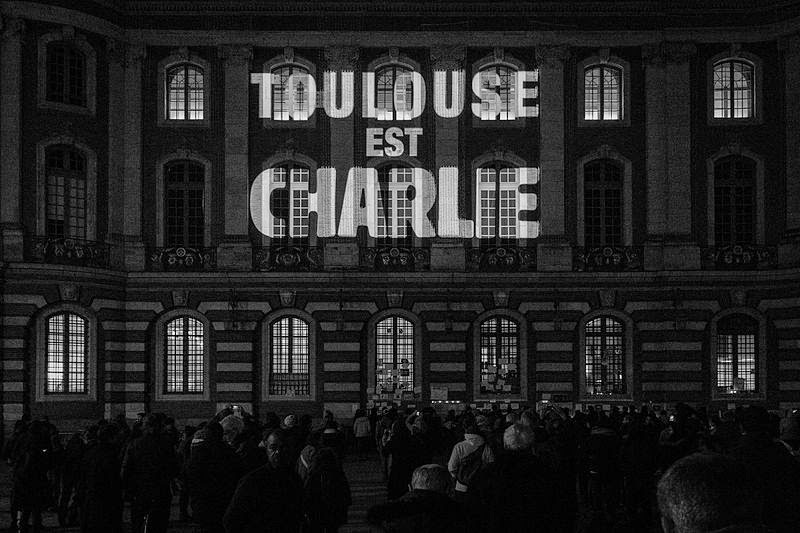 The statement identifies the speaker with those who died at the Charlie Hebdo shooting, and by extension for freedom of speech and resistance to armed threats. Not long after the attack, it is estimated that around 35,000 people gathered in Paris holding "Je suis Charlie" signs in order to condemn the attack, protest terror, and encourage freedom of expression. 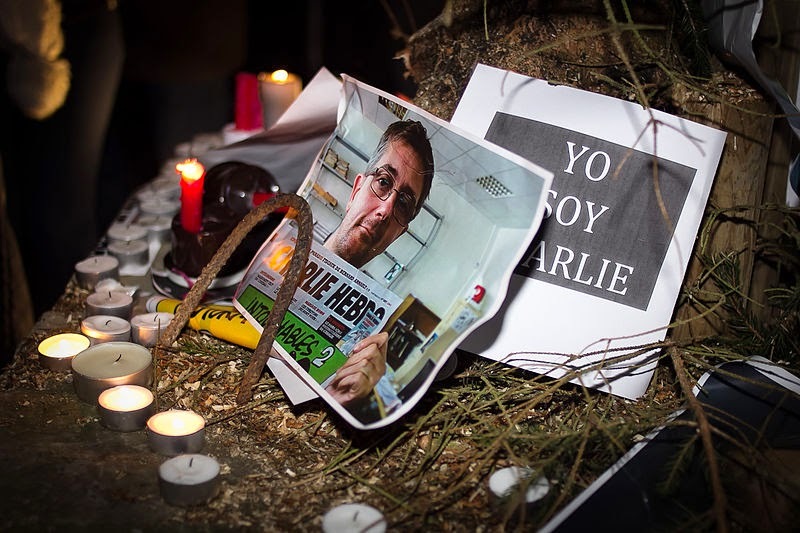 It was used as the hashtag #jesuischarlie on Twitter, as printed or hand-made placards, and displayed on mobile phones at vigils, and on many websites, particularly media sites such as Le Monde. Je suis Charliequickly trended at the top of Twitter hashtags worldwide following the attack. 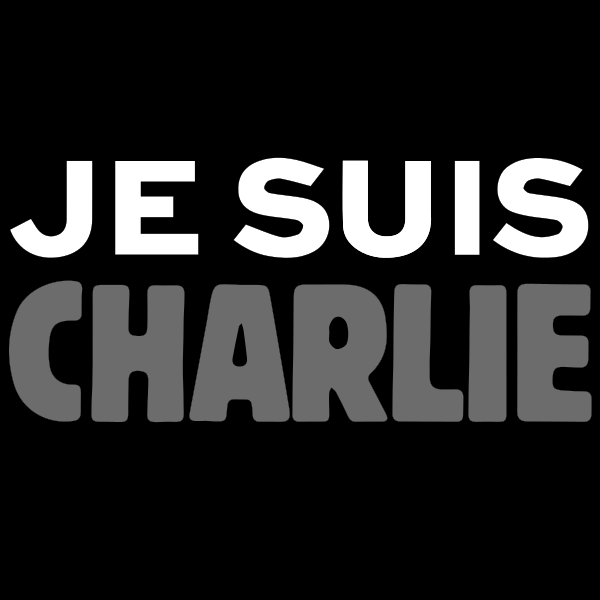 The United States Embassy in Paris changed its Twitter profile picture to the "Je suis Charlie" placard. At least 12 were killed, including police officers, and 11 more were more injured. Four are in a critical condition in hospital. 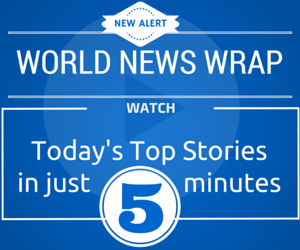 A huge manhunt is underway for the three suspects, who police said fled in a stolen car.